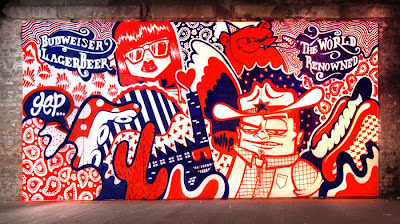 Mural commissioned by Budweiser for The Warehouse Project in Manchester. Painted by Jamie Jongo, Jimi Crayon and Disco Teck. They've got some great nights on over the next 3 months, so go check it out.